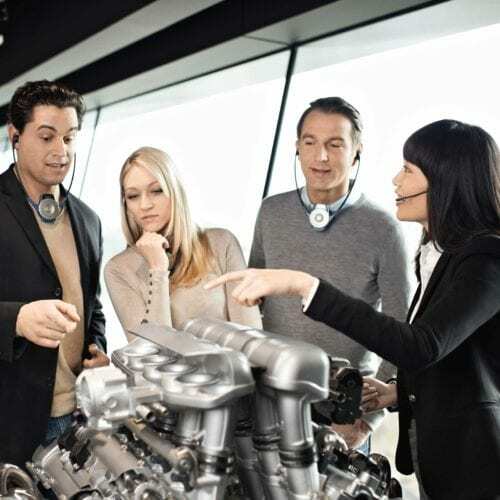 The Sennheiser 2020 is the industry’s highest performance guided tour system. 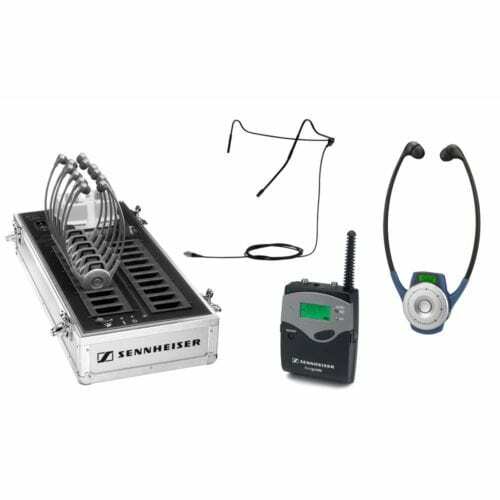 With its incomparable sound quality and ease of use, the Sennheiser 2020 is the solution to choose when you absolutely must have reliable, turnkey tour communication. 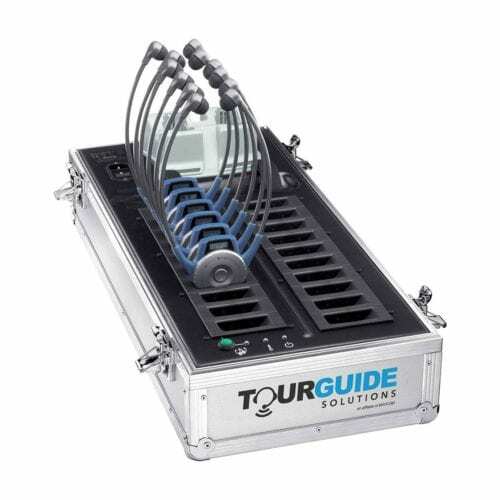 Designed for simple, intuitive operation, this tour system is ready to go, right out of the case. The entire tour system synchronizes with just one push of a button. Plus, receivers switch on automatically as soon as the user puts them on. No fumbling with channels. No confusion. Your audience listens via a unique, hands-free stethophone receiver, combining the receiver and earphones in one ultra-lightweight unit. The low-profile design looks professional and polished yet won’t interfere with hardhats or other tour safety equipment. The system is ideal for manufacturers, plant tours, employee training, trade shows, higher education, special events, museums, governments, and tour companies. Works well in indoor and outdoor environments. Sanitize headsets with alcohol wipes and replace earbuds as desired. This is the ideal tour guide headset system!